Collagen has been known to help the body renew itself, from bones, cartilage and skin and hair. People often have emailed us asking about what is the best type of collagen to use – for vegans, or meat eaters – and if there is a difference in terms of effectiveness to get results. 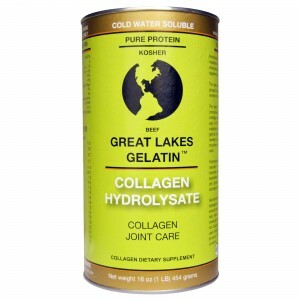 Firstly, it depends what results you are looking for – collagen works best for skin and hair growth – but taking the right type will show you the best results, and this is by the company Great lakes who produce grass fed beef derived collagen. For those vegans out there – you can substitute with plant based one – but this will not work even 50% the same – and if you are taking it for medical reasons, then you must change your lifestyle and add the meat based collagen temporarily (yes we know vegans/vegetarians will not like hearing this, but this is not anything against them – but it is proven many times over that beef based collagen will product the fastest and most effective results). This type of Hydrolysate collagen helps fast absorption of protein amino acids allowing the body to use those to produce its own collagen – because the collagen you take, will be broken down in the stomach, and will not directly go to the skin and hair – it will break down, and be recreated for your body by your body – you can see a difference in skin tone in as little as 10 days with the brand we mentioned. That said, it is hard to go wrong on collagen, we just don’t want to support non-organic and non-grass fed farms and companies – the above company only specializes in this, and this is part of the reason you know that this will be a great product – ordering from the US directly will reduce costs greatly – you can email the company to fill in the customs form accordingly, to reduce taxation as this is for personal use – or you can order it to a friend’s house if your lucky enough to know someone in the US.